This Monday was the first time I managed to photograph a rainbow. I had seen them several times in my life earlier but never had a good camera handy to take some photos worth sharing. This monday, while driving towards Kodanad view point, co passenger Shrivatsa spotted the rainbow. We stopped and took below photos. Watch more of my skywatch posts here and skywatch photos around the world from here. Lovely photos indeed. What I liked best was that the rainbow is actually touching that hill so you can travel to the end of the rainbow and see what's there - where does it come from, where is it going. 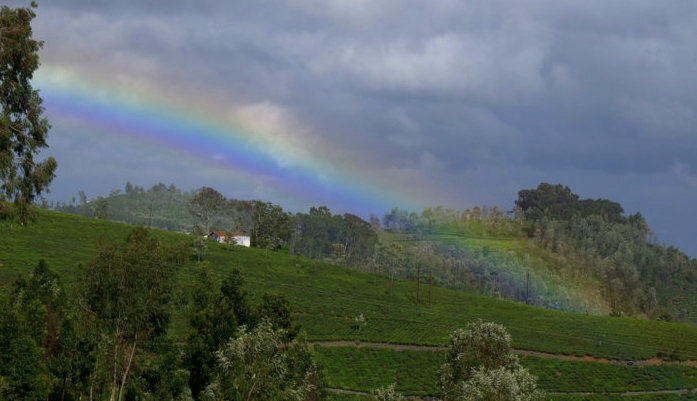 wow that rainbow is looking so beautiful. Beautiful picture and well timing . Lucky man! 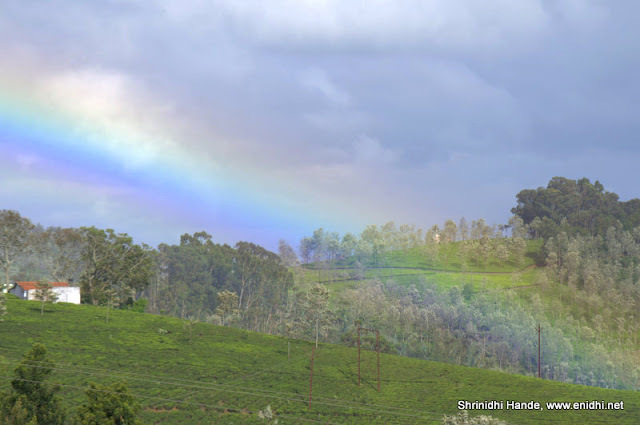 Rainbow is a sign of clean air, spotting is getting difficult now a days. 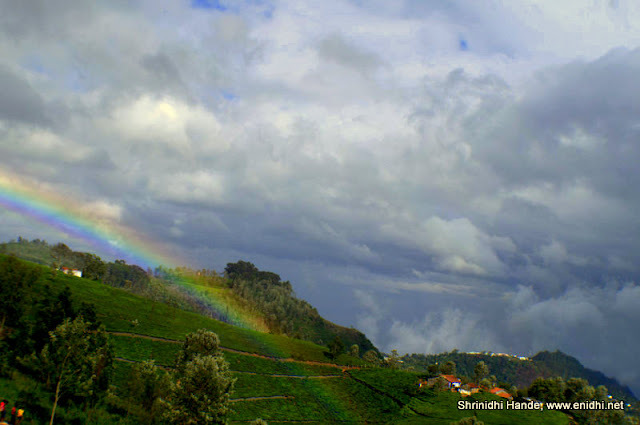 One of our friend recently told us, who has 8 year old kid never seen rainbow in his life.